Mary L. Gimenez-Caulder possesses over 25 years of experience in organizing and leading nonprofit organizations. She has helped raise millions of dollars for nonprofits through Major Gifts, Grant Writing, Planned Giving, and Capital and Annual Giving campaigns. Ms. Gimenez-Caulder’s professional experience includes President of the San Pedro Peninsula Hospital Foundation and Executive Director/CEO of Harbor Interfaith Services, both located in San Pedro, California. She has a background in Business Administration/Political Science from the University of Illinois in Chicago and has been a member of the Association of Fundraising Professionals since 1989. Ms. Gimenez-Caulder is currently a registered Fundraising Counsel with the State of California, Attorney General’s Office, Registry of Charitable Trusts and was also a Certified Fundraising Executive (CFRE) with CFRE International from 1993 to 2011. 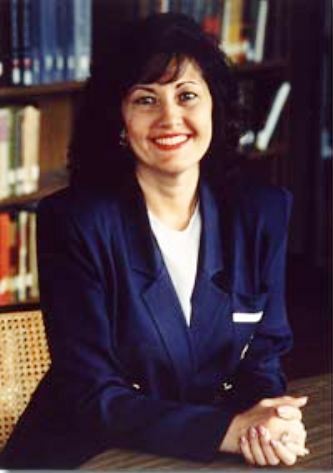 In 2009, Ms. Gimenez-Caulder created the Caulder Lamm Alliance for Children to help children in need, as well as a tribute to her son Manuel J. Lamm who passed away in 1998. To learn more about Mary Gimenez-Caulder, please visit Gimenez Caulder & Associates at www.AdvisorsToNonprofits.com.